When you hire a Lake Minnetonka home inspections specialist, there are often problems that even the most knowledgeable and experienced home inspectors can’t always see. While trained professional inspectors can notice wood rot, spot weak places on a home’s roof or locate cracks in a foundation, there are some areas that can go undetected. While a home inspector often can be a super hero, he isn’t Superman. He can’t use x-ray vision to see through walls, between floor joists or inside sewer pipes. In addition, the main purpose of most Lake Minnetonka home inspections is to uncover problems or defects that could adversely impact the value of a house or how safe it is for its occupants. 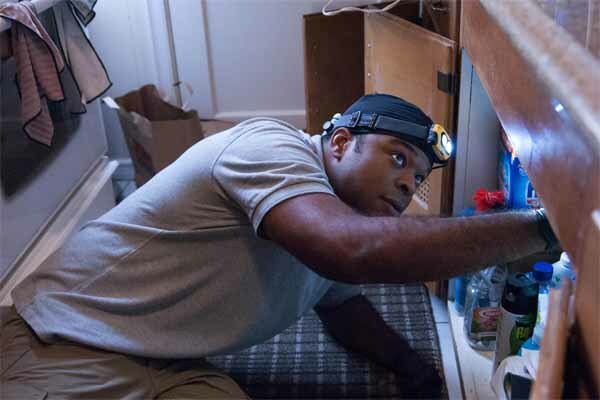 While a home inspection is always a good idea and can certainly help verify the home is a good investment as well as a safe structure, there could be existing problems that may create additional issues at a later date. Let’s take a look at four areas of concern that can go undetected. Issues in the heating, ventilation and air conditioning systems (HVAC) of a home are among the most difficult for home inspection professionals to detect. Since running a unit to test its cooling or heating capabilities can potentially damage it in certain conditions, most inspectors don’t perform such tests. One experienced home inspector explained it this way, “I can tell if a unit isn’t working, but I don’t have time during a home inspection to determine if the system is adequate for the house they’re trying to heat or cool.” The inspector recommends that if you have concerns about the home’s HVAC system, you should have it checked by a licensed HVAC specialist, in addition to your home inspection. A home inspector will, of course, turn on faucets to test pipes, water pressure and other issues. However, if a house has been vacant for any extended length of time, previous evidence of water leaks or damage has likely dried up. It may take several days for the leaks to return. In addition, damage to ceilings or walls could have been covered up with paint or wallpaper, making them nearly impossible to detect. Furthermore, if the house has a leaky roof, chances are even the most experienced home inspector may miss it. Normally, inspectors make their assessments by visually scanning the room from the ground. Rarely is there time or opportunity to climb on the roofs to further inspect them. In the event an inspector does climb atop the roof, snow, ice, fallen leaves or other debris may prevent him from determining its true condition. In 1978, the federal government called for a moratorium on the production and use of lead paint and asbestos-based materials used in construction. If the home you plan to purchase was built before 1978 it’s a good idea to pay to have specialized tests conducted for these environmental toxins. In addition, higher than normal radon levels can occur in any home – no matter the age. While lead paint, dangerous asbestos and radon pose potential risks, they’re not included on the list of items most Lake Minnetonka home inspections experts look for. If you know about these environmental toxins prior to the closing of the sale, ask the seller to pay for part of the costs to remove or contain the issues. Keep in mind, the costs of removing or containing these and other toxins can be surprisingly high. For example, according to the Environmental Protection Agency (EPA) the cost to professionally remove lead-based paint can run from $8 top $15 per square foot. On a 2,400 square foot home, that amounts to between $19,200 and $36,000! The sewer line that goes from a house to the city sewer main is the responsibility of the homeowner. It’s important, therefore, to know if there are obstructions or leaks in that sewer line. A clog or breakage could cause major issues – such as raw sewage seeping through the line or creating back ups all the way to the indoor drains. Lake Minnetonka home inspections usually include the type of drain pipe used in the sewer disposal and an estimate of the pipe’s age. However, it probably will not include an assessment of the structural fitness of the sewer line or its overall condition. If you’re concerned with the sewer line in the home you’re interested in buying, you can have a separate inspection done by a qualified company. They will determine if tree roots or other obstructions have adversely affected the line. A complete video sewer inspection will cost $250-$500 – compared to a total sewer line replacement, which can cost $25,000 or more. Remember, an experienced, qualified professional home inspector can give you vital information about your home’s condition and potential issues to repair or keep a watchful eye on. However, the unknown factors are the hidden potential problems that lurk “behind the scene” that an inspector cannot see or may not be able to detect. If you’re really interested in a particular home you want to buy, a home inspection is an expense that will likely more than pay for itself – either in actual savings before problems occur, or in the peace of mind in knowing the house is free of major issues. In addition, spending the extra money to have some of the above-mentioned tests and inspections performed may also save money and headaches down the road. Remember the old adage: "An ounce of prevention is worth a pound of cure." That certainly applies to a large purchase like a home. Knowing what issues you may be faced with in the future will save time, money and aggravation – and just may mean the difference in making buying your dream home a living nightmare. You can find more articles pertaining to Lake Minnetonka home inspections in the Lake Minnetonka Home Inspections section of our site below Lake Minnetonka Real Estate Categories in the column to your right.